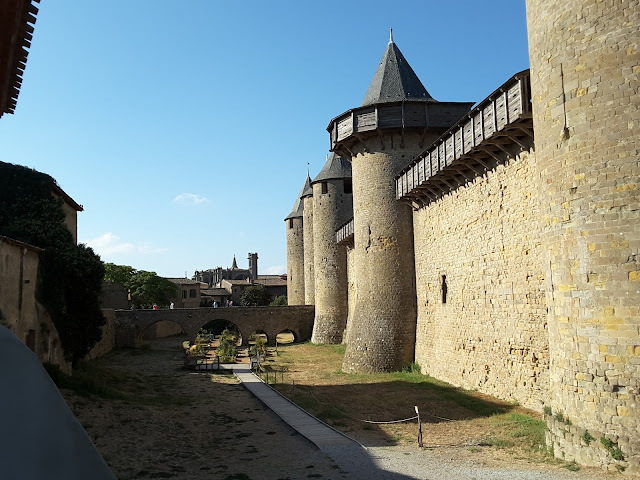 It's our last morning in beautiful, hot Carcassonne. Which means last minute packing accompanied by music videos on TV. Well, look who it is! 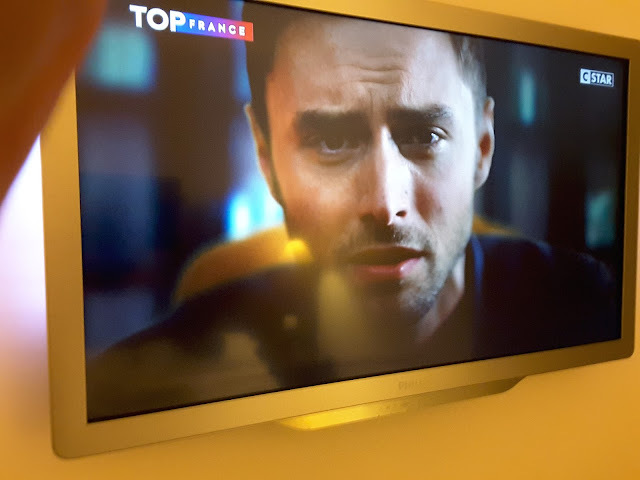 Yes it's none other than Måns Zelmerlöw, who's had a big hit in the French singles chart over the summer with "Je ne suis qu'un homme", the French-language version of "Should've Gone Home". His video has had quite a lot of airplay over the past couple of days. Ad break! 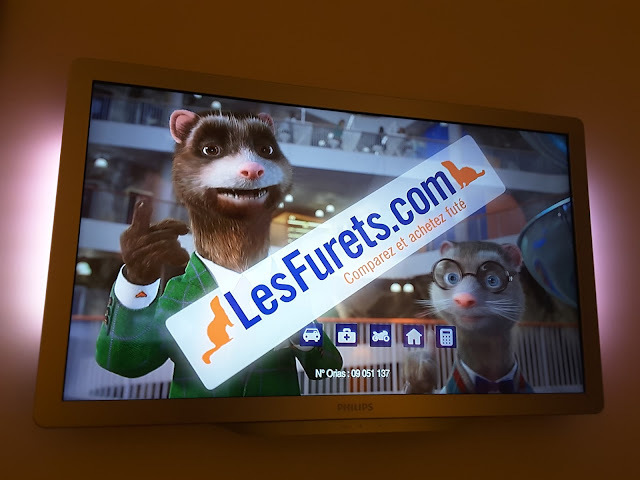 If you're in need of a French advertising equivalent of "compare the meerkat" then may I introduce Les Furets. But I don't have time to spend all day watching TV, because we have to reluctantly leave our hotel and grab a quick breakfast before heading to the airport. Inevitably we are back on Place Marcou yet again. 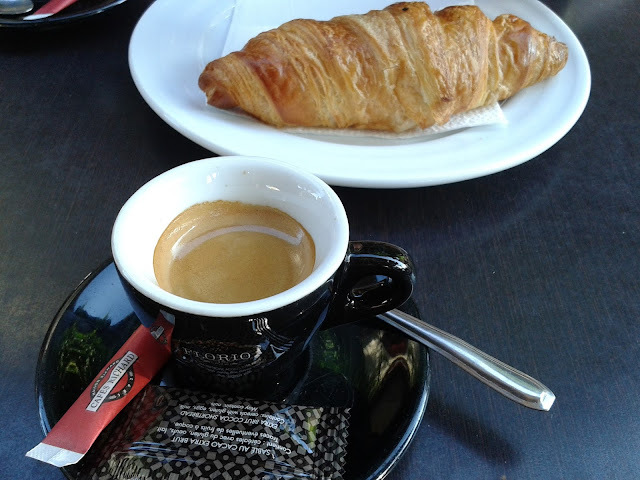 We're just keeping it simple today: a coffee and a croissant. And of course we can't leave the Cité without a last look at the Chateau. Due to our short stay we didn't have time to go inside the Chateau for a full tour. Again this is something for a future visit as we definitely want to come back again, all being well. 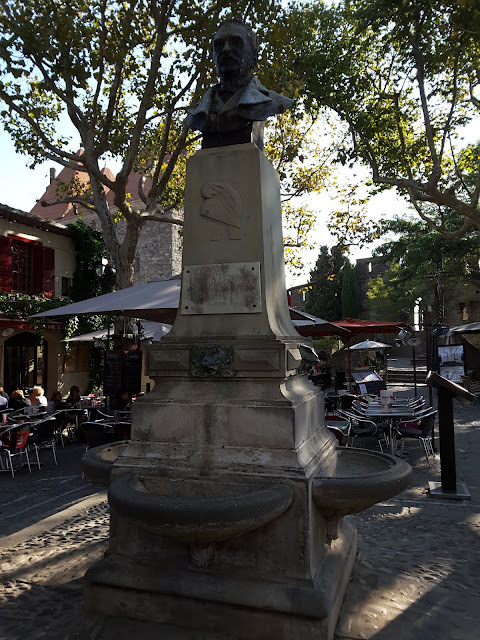 The airport bus leaves from where it arrived, near Porte Narbonne. After a short journey completely bypassing the new city, we arrive at the airport. Small in size, and equally small on facilities (unless you like salad boxes - which we don't!). These small airports do have their advantages as well as disadvantages though, as certain "low fares airlines" choose them and therefore enable us to travel to places which would otherwise be overlooked. Carcassonne is a magical place and a destination which we would absolutely recommend. 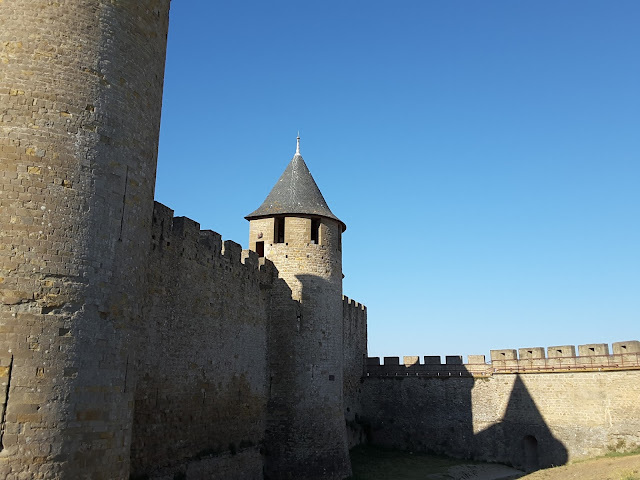 On a more personal level, it was the right place at the right time and if you are looking for a beautiful city break destination which is a break from the norm, but with a definite historical flavour, then Carcassonne is the place to be. Just remember to pack the comfortable footwear.....!